GQ Magazine Says: It’s Slim Fit Hammertime! Until recently, you had exactly two options with your cuffs: You rolled ’em up or you rolled ’em down. But in 2014, all the menswear hypebeasts started wearing sweatpants with tapered elastic bottoms that became a newfangled fashion statement. Now designers are stitching those same cuffs onto chinos and cargos and even suit trousers. 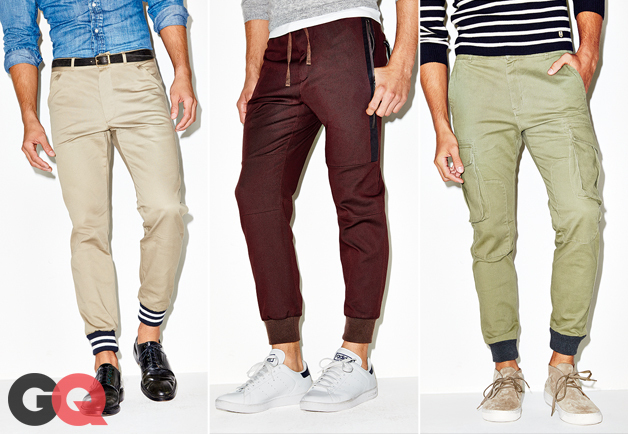 The result: A quirky detail that gives even conservative khakis a little street-style edge. What are these things? 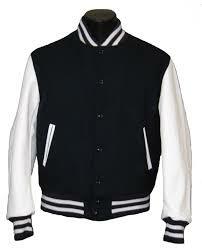 It looks like someone stuck his legs through the armholes of a varsity jacket. Look, it’s one thing to bring back Docksiders and popped collars, but I was hoping harem pants were going to stay dead. Putting a slim fit on a bad idea is still a bad idea. Is this for the guy who used to play dress up when he watched I Dream of Jeannie? And harem cargo pants? C’mon, two wrongs don’t make a right. She then turned on her high-heeled Timberland boots and was gone. If you dream of GQ’s genie pants, don’t pay retail, just tear the sleeves off this jacket. This entry was posted in Sports & Leisure and tagged GQ, GQ Magazine. Bookmark the permalink. Reblogged this on Justin Ballenger.